Here is the list of the hotels near Anchamps. Book your hotel near Anchamps today, Thursday 09 May for the best price, reservation and cancellation free of charge thanks to our partner Booking.com, leader in on-line hotels reservation. Below here is the list the 50 closest hotels of Anchamps, sortable according your criteria. You will find the position of these accommodations on the Anchamps hotels map. Le Point du Jour is located in Revin. Free WiFi is offered. Some accommodation includes a terrace and a cable flat-screen TV, as well as DVD player. A continental breakfast can be enjoyed at the property. Charleville-Mézières is 25 km from the bed and breakfast, while Sedan is 46 km away. Logement de vacances et d'affaires avec terrasse et jardinet secteur Monthermé - Ardennes is situated in Deville and offers a garden and a terrace. This holiday home also features free WiFi. The holiday home comes with 1 bedroom, a flat-screen TV and a fully equipped kitchen that provides guests with a microwave, a fridge, a washing machine and a stovetop. The holiday home also offers a seating area and 1 bathroom with a shower. If you would like to discover the area, fishing is possible in the surroundings. Charleville-Mézières is 18 km from the holiday home, while Sedan is 40 km from the property. Les Boucles de Meuse is located in Monthermé and features a terrace and a bar. This 2-star hotel offers a concierge service and free WiFi. The hotel offers a Local restaurant. At the hotel, the rooms have a desk. Each room is fitted with a private bathroom. At Les Boucles de Meuse, rooms include a flat-screen TV with cable channels. A continental or buffet breakfast is available each morning at the property. Cycling is among the activities that guests can enjoy near the accommodation. Charleville-Mézières is 17 km from Les Boucles de Meuse, while Sedan is 39 km away. Set in Fumay, Etapeboisee offers accommodation with a terrace. A fridge is also featured, as well as a coffee machine and a kettle. A continental breakfast is served each morning at the property. Dinant is 45 km from the chalet, while Charleville-Mézières is 35 km from the property. Located in Monthermé, Le Franco Belge offers a terrace, restaurant and bar. Sedan Castle is a 40-minute drive away and the Rimbaud Museum is 20 km from the hotel. All rooms feature a flat-screen TV, a wardrobe, telephone and safety deposit box, while some also have a balcony. The en suite bathroom includes a bath or shower. The on-site restaurant serves local cuisine and guests can also relax with a drink in the bar. Additional features include a communal lounge with board games, free Wi-Fi access throughout and free private parking on site. Charleville-Mézières is a 25-minute drive away and the Belgian border is only 15 km from the hotel. Set in Fumay in the Champagne - Ardenne region, Lafumacienne features a terrace and garden views. The property has city views. The holiday home has 5 bedrooms, a fully equipped kitchen with a dishwasher and an oven, and 3 bathrooms with a bath and a shower. A flat-screen TV is provided. The holiday home offers a barbecue. A children's playground can be found at Lafumacienne, along with a garden. Dinant is 44 km from the accommodation, while Charleville-Mézières is 34 km away. Located in Haybes, Gîte des Mésanges provides self-catering cottages with a garden. BBQ facilities and a laundry room are also provided for your convenience. Each cottage at Gîte des Mésanges feature a private entrance, a living room with flat-screen TV and desk, and a private bathroom with shower. You can prepare meals using the cottage’s kitchen, which is equipped with an oven, stove, microwave and coffee machine. Shops and restaurants can be found 2 km away, in Fumay. Free Wi-Fi access is provided throughout the property and baby equipment can be requested. Free private parking is also possible on site and the Nichet Cave is 25 km from Gîte des Mésanges. This hotel is set in a large garden in the village of Haybes in the Ardenne Forest. It features en suite rooms with free Wi-Fi and a gastronomic restaurant. The rooms at Hotel Ermitage du Moulin Labotte feature period-style wooden furniture and look out on the Ardenne Forest. Each room has a flat-screen TV with foreign channels and electric shutters on the windows. The private bathrooms have either a bath or shower. Moulin Labotte’s restaurant serves local and regional specialities according to the season. The restaurant has an indoor dining room with views of the 18th-century mill and a large outdoor terrace for dining in warmer months. Many hiking and cycling trails are accessible from this hotel. Hotel Ermitage du Moulin Labotte is 2.6 km from Fumay train station and 35 km from Charleville-Mézières. Free parking is available on site. Le sanglier de Haybes is situated in Haybes. The property features river views and is 42 km from Dinant. The holiday home consists of 4 separate bedrooms, 2 bathrooms with a hair dryer, and a seating area. There is a dining area and a kitchen complete with a dishwasher, an oven and a microwave. The holiday home offers a barbecue. A terrace can be found at Le sanglier de Haybes, along with a garden. Charleville-Mézières is 38 km from the accommodation. In a privileged and exceptional beauty spot, surrounded by forests and legends, the hotel, welcomes you to one of the most ancient villages in the region, Haybes, also called Haybes la Jolie. Under the spell of the Meuse riverside, in the heart of Europe and the French Ardennes, discover our regional specialities and live to the pace of our historic villages. Come and enjoy activities in the Ardennes. Calm and relaxing, nature and adventure are the key words to the success of your stay. Set in Haybes, 49 km from Charleroi, La Roseraie features free WiFi. Free private parking is available on site. The rooms come with a flat-screen TV. Some units include views of the river or garden. Rooms include a private bathroom. A continental breakfast is available daily at the property and you can find a restaurant just 20 metres from the accommodation. Guests can enjoy various activities in the surroundings, including horse riding, cycling and fishing. The hotel also offers bike hire. Bouillon is 35 km from La Roseraie, while Dinant is 32 km away. Set in a large park in Haybes, Le Clos Belle Rose is located just 15 metres from the Meuse River. It offers spacious and charming rooms with free Wi-Fi access. The guest rooms at the Belle Rose all come with private bathrooms. Most feature parquet floors and some come with fireplaces or 4-poster beds. Le Clos is situated next to the Trans-Ardennes bicycle tracks and provides a bicycle rental service. Guests can also hire small electric boats to explore the Meuse River. Le Clos Belle Rose is situated in the Champagne-Ardenne region, right next to the Belgian border. Covered private parking is available on site. Boasting an outdoor pool and lake views, Le domaine du lac is situated in Rocroi. With pool views, this accommodation offers a terrace. The bed and breakfast features a satellite flat-screen TV. A continental breakfast is served daily at the property. Guests at the bed and breakfast can enjoy billiards on site, or go cycling or fishing in the surroundings. Charleville-Mézières is 30 km from Le domaine du lac, while Chimay is 30 km from the property. Set in Rocroi, this detached holiday home features a garden with an heated outdoor pool and a barbecue. The unit is 29 km from Chimay, 12 km from Vieilles Forges Lake and 30 km from Charleville-Mézières. The holiday home features a fully equipped kitchen, a dining area and a living room with a flat-screen TV. The bathroom comes with a shower. A terrace offering views of the swimming pool is also featured. Dinant is 60 km from La maison du lac, while Sedan is 50 km away. A selection of activities are offered in the area, such as cycling and fishing in the private lake of the property. Free WiFi and free private parking is provided on site. Le point de Chute is located near the Belgian border at Tournavaux, 25 minutes from Charleville-Mézières and 40 minutes from Sedan. Free Wi-Fi, a TV and en suite facilities are included in the guest rooms. Enjoy traditional meals in the hotel restaurant and drinks in the bar or on the terrace. It is closed on Sunday evening. A continental breakfast is prepared every morning. Guests exploring the region by car will appreciate the convenient and free on-site parking. Offering free WiFi and garden views, Chez Catherine et fanfan is an accommodation located in Rocroi. Guests staying at this holiday home have access to a fully equipped kitchen and a terrace. The holiday home comes with a flat-screen TV, 2 bedrooms and a living room. Charleville-Mézières is 27 km from the holiday home. Situated in Rocroi, Hôtel du commerce has a terrace, shared lounge, bar, and free WiFi. There is a restaurant. At the hotel, each room includes a desk, a flat-screen TV and a private bathroom. All guest rooms feature a wardrobe. Cycling is among the activities that guests can enjoy near Hôtel du commerce. Charleville-Mézières is 28 km from the accommodation, while Sedan is 49 km from the property. Set in Rocroi, L'etoile De Marie features a terrace, bar and free WiFi. All rooms boast a flat-screen TV with satellite channels and a private bathroom. At the hotel, the rooms are equipped with a desk. L'etoile De Marie offers certain rooms with city views, and every room includes a coffee machine. All rooms have a wardrobe. A variety of popular activities are available in the area around the accommodation, including cycling and hiking. Charleville-Mézières is 28 km from L'etoile De Marie, while Sedan is 49 km away. Featuring accommodation with a terrace, Cabane et vallée is set in Haulmé. The property features mountain and river views. Bouillon is 43 km from the country house. Located in Joigny-sur-Meuse in the Champagne - Ardenne region, La clé des bois features a terrace and river views. Guests staying at this holiday home have access to a fully equipped kitchen. The property includes a living room with a TV. Bouillon is 38 km from the holiday home. Gite Lavendin Group is located in Hargnies and offers a tennis court and barbecue facilities. This holiday home provides a garden as well as free WiFi. The holiday home comes with 7 bedrooms and a fully fitted kitchen with a dishwasher and an oven. A TV is provided. The holiday home offers a terrace. Dinant is 37 km from Hol Home Lavendin Group, while Rochefort is 49 km from the property. Le Risdoux Iii is set in Haybes. This holiday home has a garden and barbecue facilities. With direct access to a terrace, the holiday home consists of 3 bedrooms. The kitchen is fitted with an oven. Dinant is 37 km from the holiday home, while Rochefort is 49 km away. Le Risdoux Iv is located in Haybes and offers a tennis court. Offering free WiFi, the property also has barbecue facilities and a garden. The holiday home is equipped with 2 bedrooms and a fully fitted kitchen with a microwave. The holiday home offers a terrace. Dinant is 37 km from Risdoux Vireuxwallerand, while Rochefort is 49 km from the property. Featuring accommodation with a terrace, Gite Vi is located in Vireux-Wallerand. Free WiFi is featured. The holiday home is equipped with 1 bedroom and a fully fitted kitchen with an oven and a microwave. The holiday home offers a barbecue. Guests can relax in the garden at the property. Dinant is 37 km from Vireuxwallerand, while Rochefort is 49 km away. Set in Haybes in the Champagne - Ardenne region, Gite V features a terrace. This holiday home offers a tennis court, barbecue facilities as well as free WiFi. The holiday home features a TV and 3 bedrooms. The accommodation is fitted with a kitchen with an oven and a microwave. Guests can also relax in the garden. Dinant is 37 km from the holiday home, while Rochefort is 49 km from the property. Located in Hargnies, Gîte du Coucou is 9 km from Haybes Train Station and 4 km from the Belgium Border. It offers a garden, a washing machine and a living room with a flat-screen TV and a fireplace. The house has 2 individually decorated bedrooms and a bathroom with a shower and a hairdryer. The open-plan kitchen includes a dining area and is equipped with a microwave, a refrigerator and a oven. A dishwasher, a toaster and a stove are also provided. Gîte du Coucou is 35 km from Charleville-Mezières and free public parking is available on site. Auberge en Ardenne is set in Les Hautes-Rivières and features a garden. Featuring a restaurant, the property also has a bar. The accommodation provides free WiFi. All rooms in the hotel are fitted with a TV. All units have a desk. A continental breakfast is served daily at the property. Bouillon is 32 km from Auberge en Ardenne, while Rochefort is 49 km from the property. Featuring accommodation with a terrace, chalet de luve is set in Vireux-Wallerand. Guests staying at this chalet have access to a fully equipped kitchenette. The chalet is fitted with a satellite TV, 1 bedroom and a living room. Dinant is 33 km from the chalet. Apartment Charleville-Mézières Preferred hotel ! Rimbaud suites is situated in Charleville-Mézières. Housed in a building dating from 19th century, this apartment offers free WiFi. Featuring river views, the apartment comes with a flat-screen TV with cable channels, a seating area, a desk and 1 bathroom. There is a dining area and a kitchen complete with a dishwasher, an oven and a microwave. Speaking English and French at the 24-hour front desk, staff are always at hand to help. The apartment offers a children's playground. Hiking can be enjoyed nearby. Bouillon is 46 km from Rimbaud suites, while Sedan is 25 km from the property. Situated in the city centre near the Place Ducale and opposite a large public car park, this Kyriad is open all year long and offers comfortable and modern accommodation. Rooms at the Kyriad Charleville Mezieres are equipped with en suite facilities. They provide a high standard of comfort and modern living spaces. They are all air-conditioned and fitted with free Wi-Fi access. The attentive and multilingual staff speak French, English and Italian and will try their best to help you make the most of your stay. Located in Charleville-Mézières, Côté Chambres offers accommodation with free WiFi. The bed and breakfast offers a flat-screen TV and a private bathroom with free toiletries, a hair dryer and shower. Some units have a seating area and/or a terrace. A continental breakfast is served each morning at the property. Bouillon is 46 km from Côté Chambres, while Sedan is 25 km away. Located in Charleville-Mézières in the Champagne - Ardenne region, Chambres du Petit Bois provides accommodation with free WiFi. The bed and breakfast offers a TV and a private bathroom with free toiletries, a hair dryer and shower. A continental breakfast is served daily at the property. If you would like to discover the area, cycling, fishing and hiking are possible in the surroundings. Bouillon is 45 km from Chambres du Petit Bois, while Sedan is 25 km away. Situated in Charleville-Mézières, Appartement12.com features accommodation with a TV. Complimentary WiFi is provided. A dishwasher and microwave are also available, as well as a kettle. A continental or buffet breakfast can be enjoyed at the property. Bouillon is 44 km from the bed and breakfast. Offering free WiFi and city views, Appartement Cosy is an accommodation set in Charleville-Mézières. Guests staying at this apartment have access to a fully equipped kitchen. The apartment comes with a cable flat-screen TV. Bouillon is 45 km from the apartment. Located in the Champagne-Ardenne region, this hotel is a 3-minute walk from Charleville-Mézières Train Station. It offers free WiFi access in the entire property, a seating area with a fireplace and a bar. All the heated rooms at Hôtel de la Meuse feature carpeted floors and a flat-screen TV. They also have a bathroom with free toiletries and a bath or shower. Guests are able to enjoy a continental breakfast every morning at Hôtel de la Meuse. Local dishes are served on request in the dining room. Place Ducale is 500 metres away. This hotel is 7 km from the A34 motorway and 17 km from the Belgian border. This hotel is located 150 metres from Charleville-Mezieres Train Station. It is just 40 minutes by car from the Belgian border and offers rooms with an LCD TV and free Wi-Fi. Rooms at Hôtel Le Cleves are simply decorated and feature individual works of art. Each also has a flat-screen TV with foreign channels and a work desk. Hairdryers are available at reception. A buffet-style breakfast is served every morning, and in the evening guests can relax in the bar with a newspaper from the reception. The centre of Charleville-Mezieres is a 10-minute walk away and the banks of the Meuse River are just 650 metres away. Located in Charleville-Mézières, the hotel Le Dormeur du Val is next to the Belgium border. It offers soundproofed rooms with air-conditioning, free Wi-Fi and a flat-screen TV with cable channels. Rooms at Le Dormeur du Val have a private bathroom equipped with a hairdyer, slippers and a bathrobe. They are also air-conditioned and have a radio. At Le Dormeur du Val, several breakfast options are available each morning with an additional cost. Guests are invited to enjoy a drink in the Dormeur’s bar or relax with a book from the library. Located just a 2-minute walk from the SNCF Train Station in Charleville-Mézières, hotel Hotel Couleurs Sud faces a pleasant public square in the town centre. It offers en suite rooms with free Wi-Fi access and soundproofed windows. A flat-screen TV with international and satellite channels and views of the town are provided in all rooms. All rooms have lift access and a private bathroom with bathtub or shower. A continental breakfast is served every morning in the dining room which opens on a small garden. Guests can also enjoy a drink from the lounge bar and sample the traditional cuisine in the on-site restaurant. Place Ducale and pedestrian shopping streets are just 300 metres from the hotel. The Rimbaud Museum is a 5-minute drive away. This hotel is located in the heart of Charleville-Mézières opposite the train station. It offers non-smoking rooms and free Wi-Fi access. Guests have access to secure private parking. Rooms at Hotel de Paris are equipped with a telephone, a flat-screen TV and private bathroom. Hotel de Paris serves a buffet breakfast each morning. There are a number of restaurants nearby. Hotel de Paris is 600 metres from the banks of the Meuse River and Charleville-Mézières Museum. Reims is a 1-hour drive away. Stay in Hotel Le Pélican, located in Charleville-Mézières, home town of the French poet Rimbaud. It is a 10-minute walk and 5-minute drive from the centre. All rooms of Hotel Le Pélican are uniquely decorated and feature a flat-screen TV with Canal+ and BeIN Sport channels. Each room is fitted with a private bathroom with hairdryer. A continental buffet breakfast is served every morning at Hotel Le Pélican. A water cooler is available in the hotel's common areas. The friendly team can recommend activities and restaurants in the area. Hotel Le Pélican is a great base from which to explore the region, it is a 30 km drive from Sedan and 8 km from the Ardennes Regional Nature Park. Centrally located in Charleville-Mézières, Cesar Hotel provides comfortable accommodation and a continental breakfast. Free Wi-Fi access is available. Guest rooms at Hotel Cesar can accommodate up to 4 people. They are decorated in a classic style and are equipped with a flat-screen TV and private bathroom. The hotel César is located close to the station of Charleville-Mezieres, in the capital of the Ardennes. For guests arriving by car, free public parking is possible at a nearby location. Situated in Étalle, Le Château provides accommodation with a private pool and private parking. Featuring pool and garden views, this holiday home also has free WiFi. With 3 bedrooms and 1 bathroom with a bath, this holiday home has a satellite flat-screen TV. There is a seating area, a dining area and a kitchen equipped with a dishwasher. The holiday home offers an outdoor pool. A barbecue and a children's playground are available for guests at Le Château to use. 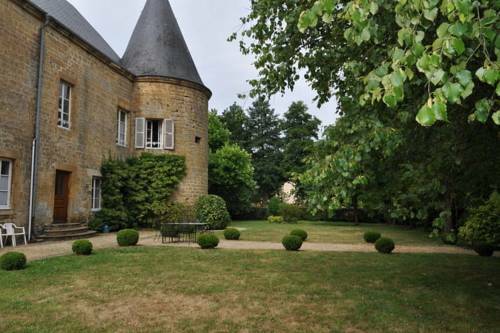 Charleville-Mézières is 25 km from the accommodation, while Sedan is 46 km from the property. HOTEL L'AMERIVIERE*** features a garden, terrace and shared lounge in Aubrives. This 3-star hotel offers a concierge service. Guests can enjoy a meal at the on-site restaurant or relax in the bar. The units in the hotel are equipped with a flat-screen TV. The private bathroom is fitted with a shower. All units feature a desk. Guests at HOTEL L'AMERIVIERE*** can enjoy a continental or a buffet breakfast. Dinant is 28 km from the accommodation, while Rochefort is 41 km away. Boasting free bikes, barbecue facilities, and a garden, gite de la ruelle des messes features accommodation in LʼÉchelle with free WiFi and garden views. The holiday home features city views and is 22 km from Charleville-Mézières. Offering direct access to a terrace, the holiday home consists of 3 bedrooms and a fully equipped kitchen. A flat-screen TV and Blu-ray player are provided. If you would like to discover the area, hiking is possible in the surroundings. Sedan is 43 km from the holiday home, while Vresse-sur-Semois is 49 km away. Guest accommodation Girondelle Preferred hotel ! Situated in Girondelle, Gite Des Peupliers provides accommodation with a terrace and free WiFi. The property was built in 19th century and features accommodation with a patio. The holiday home is fitted with 3 bedrooms, a fully equipped kitchen with a dishwasher and an oven, and 2 bathrooms with a hot tub. A flat-screen TV is provided. Languages spoken at the 24-hour front desk include German and French. The holiday home offers a barbecue. A children's playground is also available at the property, while guests can also relax in the garden. Charleville-Mézières is 28 km from Gite Des Peupliers, while Sedan is 49 km from the property. Gîte du garde barrière is located in Girondelle and offers barbecue facilities, a garden and a terrace. This property offers access to free WiFi. The holiday home comes with 4 bedrooms, a kitchen with a dining area, and 1 bathroom. A flat-screen TV is offered. Charleville-Mézières is 28 km from the holiday home, while Sedan is 49 km from the property. Set in Givet in the Champagne - Ardenne region, Le Verger features a terrace and garden views. Guests staying at this holiday home have access to a fully equipped kitchen and a balcony. The holiday home is equipped with a flat-screen TV. Dinant is 26 km from the holiday home, while Rochefort is 38 km from the property. Chateau De Clavy Warby is situated in Clavy-Warby and offers barbecue facilities. Guests are welcome to enjoy the free WiFi. This holiday home comes with a kitchen, a seating area, and a TV. Guests can also relax in the garden. Charleville-Mézières is 14 km from the holiday home, while Sedan is 35 km away. Below here is the hotels map of Anchamps. Names and details of Anchamps hotels can be shown on the map clicking on the prices icons.